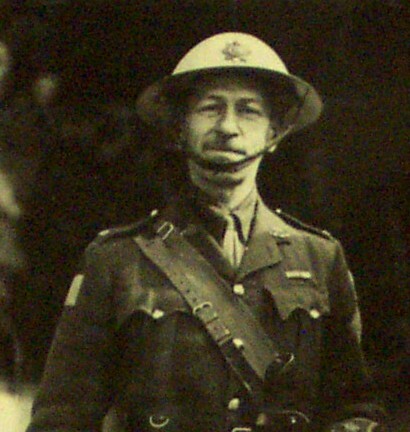 During the First World War, various units and corps of the Canadian Expeditionary Force painted their helmets with unit or corps insignia. 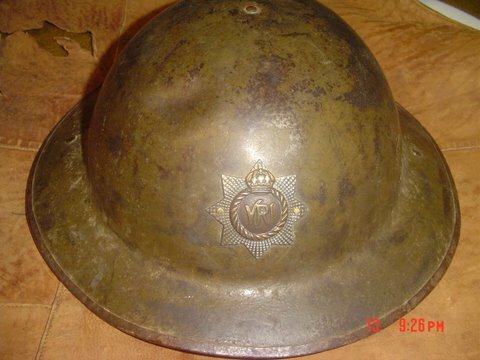 This was done both with the early Brodie pattern helmet as well as later issues. 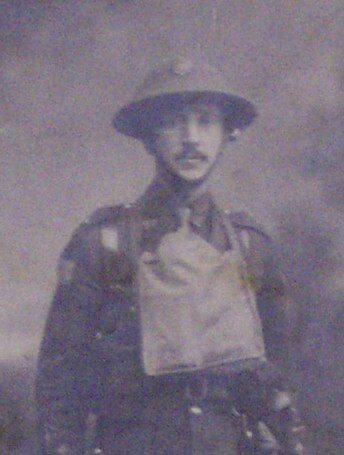 In some cases, regimental cap badges were affixed to helmets. 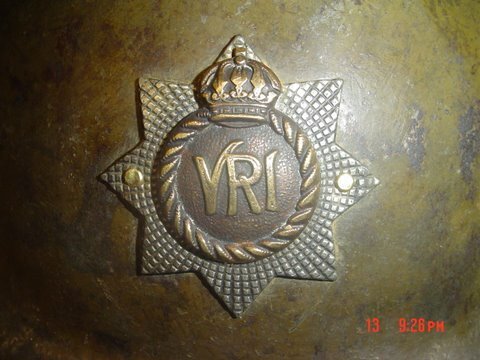 The above photos show an example of a Great War helmet with the 1894 badge of The Royal Canadian Regiment. Also are links to studio photos of RCR officers wearing similar helmets. 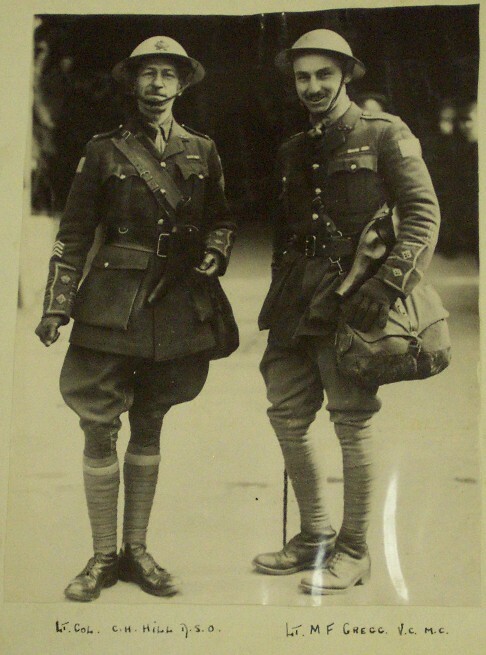 Photos found in the archives of The RCR Museum, linked below, show some officers, including Victoria Cross winner Milton F. Gregg, wearing such helmets. It appears that these were in use by officers, although the lack of photos showing them in use by NCOs or soldiers does not necessarily mean their use was restricted to officers of the Regiment. 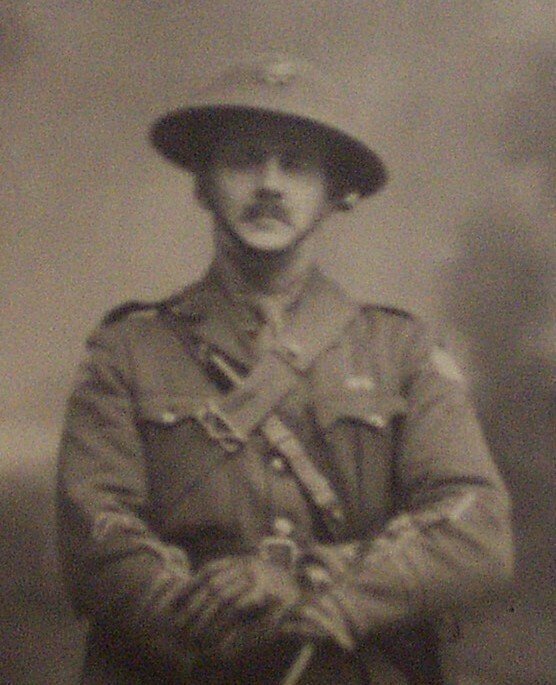 Notably, the badge seen on the helmet pictured above displays the 1894 Guelphic crown badge rather than the 'official' GvR pattern badge of the Great War period. 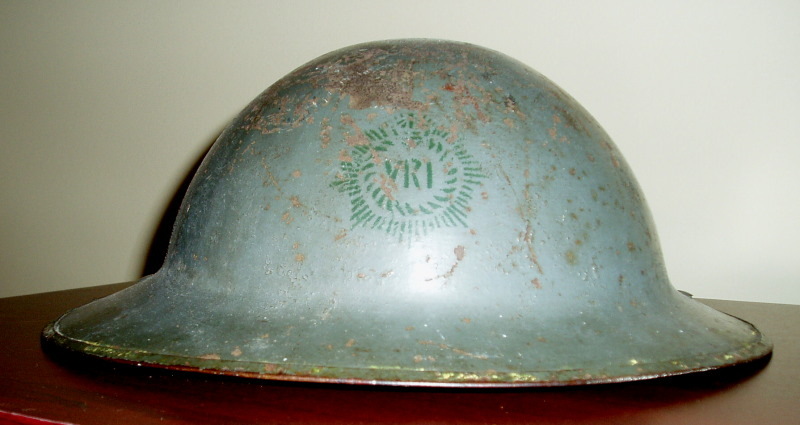 A painted RCR Brodie helmet. 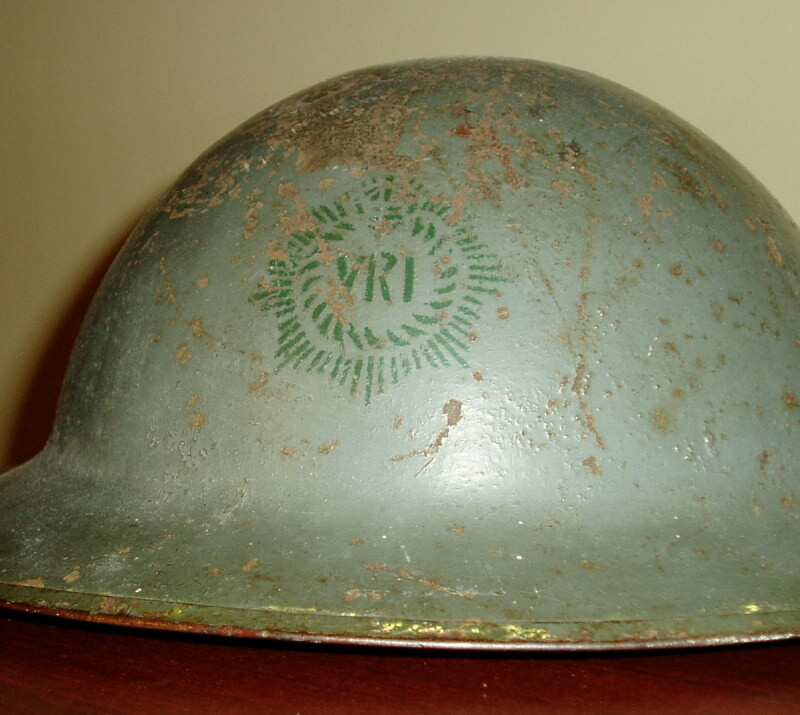 The photos of the painted Brodie helmet above are show another example of the regimental badge on a First World War era helmet.